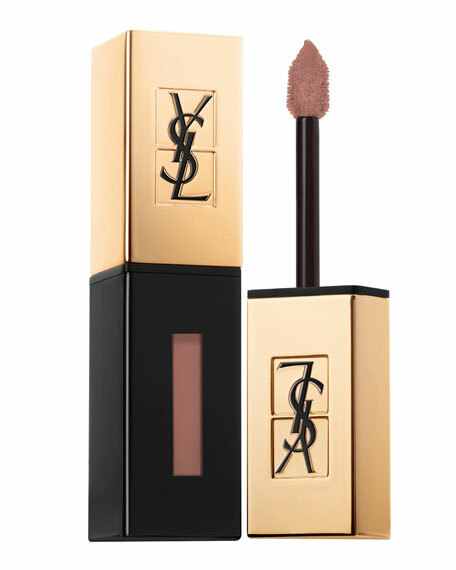 YSL's new Lip Liner provides 6 hours of creamy, matte wear, with no transfer, feathering or creasing. Line, Style, and Prime. Line the lips by tracing the outer edges of the top and bottom lip to ensure your lipstick does not bleed throughout the day. For a bolder look, use the Lip Liner in the corners of the lips for an Ombre makeup look. Prime the lips by using the transparent shade of Dessin Des Levres to moisturize and flaunt a natural pink pout for a no makeup makeup look.